Join us in supporting our nation’s veterans. Enter for your chance to win a donation to a veterans’ organization in your city. Take a selfie at veteran-themed location in your city of residence or honoring a veteran in your city. The eligible winning entry will receive a HomeServe Cares donation of $4,000 to a veterans organization in your city, a feature story about your city in our upcoming newsletter and digital promotion of the chosen organization. NO PURCHASE NECESSARY. The Heroes In My City Sweepstakes (the “Promotion”) is open to local, state and federal government employees who are legal residents of the fifty (50) United States and the District Of Columbia and of legal age of majority in their state of residence (18 (except Alabama and Nebraska residents must be at least 19 and Mississippi must be at least 21)). 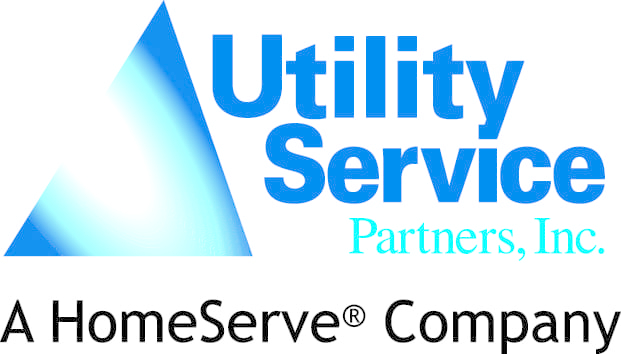 Employees (and their immediate families [parent, child, spouse or sibling and their respective spouses, regardless of where they reside] and those living in their same households, whether or not related) of Utility Service Partners, Inc. (“USP” or “Sponsor”) and its respective parents, affiliates, and subsidiaries and participating vendors/agencies are not eligible to enter or win. By participating, entrants agree to be bound by these Official Rules and the decisions of Sponsor, which are binding and final on matters relating to this Promotion. Promotion is subject to all applicable federal, state and local laws. HOW TO ENTER: Take a selfie of you in front of a veteran-themed location in your city of residence or honoring a veteran in your city (“Selfie”). To submit an entry, between 9:00am Eastern on November 7 and ends at 11:59pm on December 31 (“Promotion Period”), tweet the Selfie on www.twitter.com (the “Website”) with the hashtags “#USPSweepsEntry” and “#HeroesInMyCity” and include @UtilitySP in your reply (“Entry”). Limit one (1) Entry per person. Entries generated by script, macro or other automated means or by any means which subvert the entry process are void. Anyone found to use multiple Website accounts to enter the Promotion will be ineligible. All entries become the property of Sponsor. DRAWING/NOTIFICATION/REQUIREMENTS: Potential winner will be selected in a random drawing held on or about January 4, 2019 from all eligible entries received. Odds of winning depend on the number of eligible entries received. Potential winner will be notified by direct message via Twitter and may be required to execute and return an affidavit of eligibility, a liability release and, where lawful, a publicity release within five (5) calendar days of date of issuance. If such documents are not returned within the specified time period or apotential winner is not in compliance with these rules, prize will be forfeited and, at Sponsor’s discretion, an alternate winner may be selected at random from the remaining eligible entries. PRIZE: Winner will select a veteran 501(3)(c) non-profit organization to receive a $4,000 donation from Sponsor (the “Veteran Charity”). Winner will not receive the $4,000 personally. PRIZE CONDITIONS: All prize details are at Sponsor’s sole discretion. Sponsor reserves the right to request winner select a different Veteran Charity should the selected organization be contrary to Sponsor’s values, as determined within Sponsor’s sole discretion. GENERAL CONDITIONS: Released Parties (as defined below) are not responsible for lost entries or direct messages, unavailable network/server/ISP/Website/other connection, miscommunications, failed computer/hardware/software/satellite/telephone/cable, or other errors/difficulties in connection with the Promotion. Released Parties are also not responsible for injury or damage to a computer relating to this Promotion. Persons who tamper with any aspect of the Promotion or Website or who are in violation of these Official Rules, as solely determined by Sponsor, will be disqualified. Sponsor reserves the right at its sole discretion to suspend, modify or terminate the Promotion should any portion of the Promotion be, in Sponsor’s sole opinion, compromised by virus, worms, bugs, non-authorized human intervention or other causes which, in the sole opinion of the Sponsor, corrupt or impair the administration, security, fairness or proper play, or submission of Entries. If terminated, Sponsor will select the potential winners via a random drawing from all eligible, non-suspect entries received prior to action taken or as otherwise deemed fair and appropriate by Sponsor. If there is a dispute as to the identity of an entrant, the prize will be awarded to the authorized account holder of the email address associated with the Website account holder and s/he must comply with these Official Rules. Entrants agree to resolve disputes related to this Promotion by arbitration or in small claims court, without resort to class action or jury trial. If any provision(s) of these Official Rules are held to be invalid or unenforceable, all remaining provisions hereof will remain in full force and effect. LIMITATIONS OF LIABILITY: Neither Sponsor, Twitter nor any of its respective parents, affiliates, subsidiaries or participating vendors/agencies or any of their respective officers, directors, employees, representatives and agents (collectively, “Released Parties”) will have any liability whatsoever for, and shall be held harmless by entrants against, any liability, for any injuries, losses or damages of any kind, to persons, or property resulting in whole or in part, directly or indirectly, from participation in this Promotion. GRANT OF PUBLICITY: Winner, by acceptance of a prize, except where legally prohibited, grant permission for Sponsor and its designees to use his/her name, address (city and state), photograph, quotes, voice, and/or other likeness and prize information for Sponsor’s advertising, trade and promotional purposes without further compensation, in all media now known or hereafter discovered, worldwide in perpetuity, without notice or review or approval. WINNER’S LIST: For the name of the winner, available after January 30, 2019 send a self-addressed envelope to: USP, 11 Grandview Circle Ste 100, Canonsburg, PA 15217 ATTN: Marketing with your request for the name of the winner in the Heroes In My City Sweepstakes, to be received by February 28, 2019. This Promotion is not sponsored, endorsed or administered by, or associated with Twitter. Any questions, comments or complaints regarding the Promotion must be directed to the Sponsor, and not to Twitter.